Oct. 15 (Bloomberg) -- The dollar may drop to 50 yen next year and eventually lose its role as the global reserve currency, Sumitomo Mitsui Banking Corp.’s chief strategist said, citing trading patterns and a likely double dip in the U.S. economy. 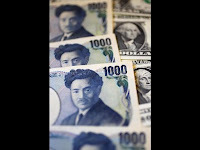 The dollar last week dropped to the lowest in almost a year against the yen as record U.S. government borrowings and interest rates near zero sapped demand for the U.S. currency. The Dollar Index, which tracks the greenback against the currencies of six major U.S. trading partners, has fallen 15 percent from its peak this year to as low as 75.211 today, the lowest since August 2008. 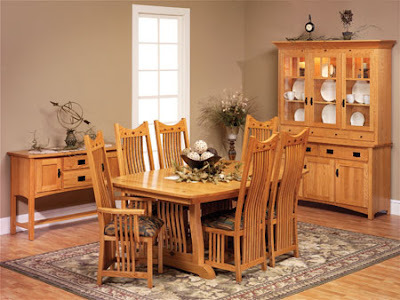 The gauge is about five points away from its record low in March 2008, and the dollar is 2.5 percent away from a 14-year low against the yen. “We can no longer stop the big wave of dollar weakness,” said Uno, who correctly predicted the dollar would fall under 100 yen and the Dow Jones Industrial Average would sink below 7,000 after the bankruptcy of Lehman Brothers Holdings Inc. last year. If the U.S. currency breaks through record levels, “there will be no downside limit, and even coordinated intervention won’t work,” he said. China, India, Brazil and Russia this year called for a replacement to the dollar as the main reserve currency. Hossein Ghazavi, Iran’s deputy central bank chief, said on Sept. 13 the euro has overtaken the dollar as the main currency of Iran’s foreign reserves. The greenback is heading for the trough of a super-cycle that started in August 1971, Uno said, referring to the Elliot Wave theory, which holds that market swings follow a predictable five-stage pattern of three steps forward, two steps back. The dollar is now at wave five of the 40-year cycle, Uno said. It dropped to 92 yen during wave one that ended in March 1973. The dollar will target 50 yen during the current wave, based on multiplying 92 with 0.764, a number in the Fibonacci sequence, and subtracting from the 123.17 yen level seen in the second quarter of 2007, according to Uno. The Elliot Wave was developed by accountant Ralph Nelson Elliott during the Great Depression. Wave sizes are often related by a series of numbers known as the Fibonacci sequence, pioneered by 13th century mathematician Leonardo Pisano, who discerned them from proportions found in nature. Uno said after the dollar loses its reserve currency status, the U.S., Europe and Asia will form separate economic blocs. The International Monetary Fund’s special drawing rights may be used as a temporary measure, and global currency trading will shrink in the long run, he said. Hard to argue against, this is exactly what I’ve been saying as well – big changes to the dollar and our system are coming. Changes on that scale usually do not come without upheaval and violence on a large scale – at least that’s what history shows. The inverse correlation between the dollar going down and equities going up does not, and I will argue will not, continue indefinitely. 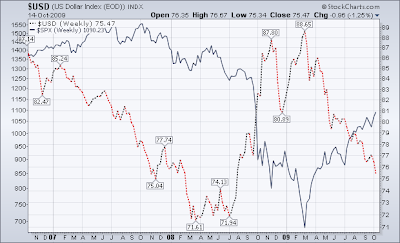 Below is a three year chart of the Dollar (dashed line) versus the SPX (solid line). You can see that they are inversely correlated now, but at the end of ’07 and into ’08 moved in the same direction – down. Never moving in a straight line, the Dollar/Yen cross has seen a low in the past twenty years of only 79 and a high of 160. If I were counting from the 160 high, I would count the 79 low as wave 1, the subsequent bounce as wave 2 and it appears to me that we are still in wave 3 down. Within 3 down, it appears to me that we are making wave 5 of 5 down, but I certainly would not expect a level of 50 to be reached on this move. I would then look for a large wave 4 movement that would be flat and should be followed by a much larger wave 5 down into a low like Sumitomo discusses, so it may take much longer than most think, unless this is a more simple A,B,C. Then again, at the rate of acceleration our government is destroying our currency, it may not be that long at all. I might add that the demographic situation in Japan is the reverse of that in the U.S.. Following WWII, Japan did not produce a baby boom generation until 20 years after the West did as they had to focus on rebuilding their country. Their baby boom is now entering their peak earning years as ours wanes. 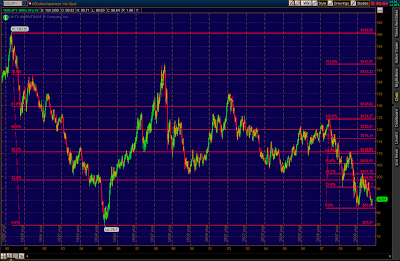 Gee, I wonder why the Dollar would descend against a Yen that is hardly the example for the rest of the world? Oh, wait, this might explain it… And I might add, bankers too!